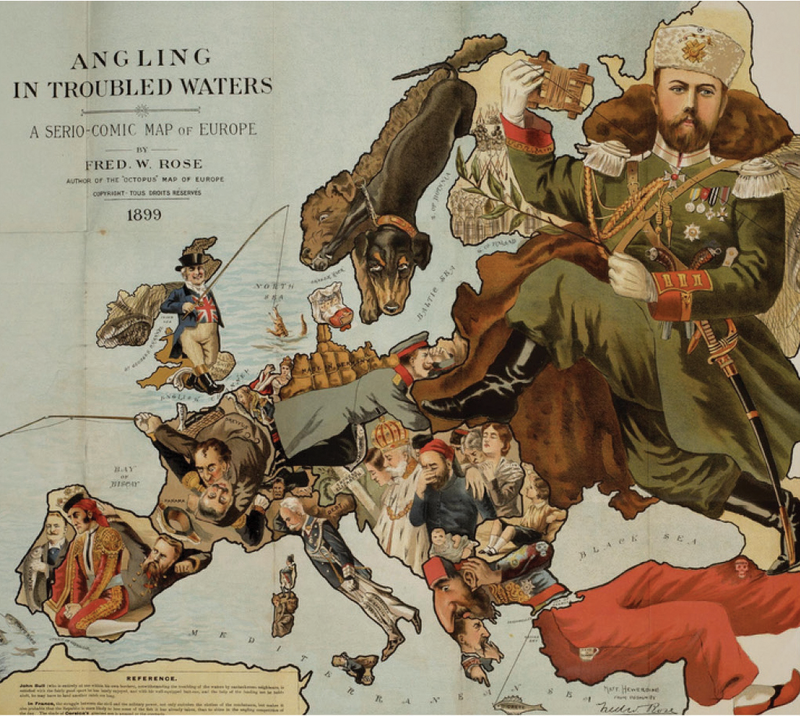 One of many maps portraying impending inter-imperialist apocalypse, via Charnel- House. From teaching indigenous studies to Hong Kong’s forgotten independence movement, here are this week’s top picks in imperial and global history. Three years ago, Rorie Mcleod Arnould was shocked when he heard that on his university campus, two indigenous students witnessed their peers laughing at an elder as she gave a blessing at a convocation ceremony. Mcleod Arnould, then a politics student and the vice-president of the University of Winnipeg Students’ Association, was even more startled when he spoke with members of the school’s Aboriginal Students’ Council and heard many more experiences of racism on campus. “It was an awakening moment,” says Mcleod Arnould, 26. Truth is stranger than dystopian fiction. Last May, for example, United States President Barack Obama announced the opening of the U.S.-sponsored Fulbright University of Vietnam (FUV), the first private university in a small nation the U.S. tried to “bomb back to the Stone Age” half a century ago. Intended to be “a U.S.-style universitynot under control of the Communist Party of Vietnam,” FUV hopes to begin teaching students about how to be good global-era capitalists and world capitalist citizens in the fall of 2017. It’s a collaboration between the Kennedy School of Government at Harvard and the U.S. State Department. The U.S. government has so far invested roughly$20 million in the project. Colin Kaepernick, the former Pro Bowler, Super Bowl participant and quarterback for the San Francisco 49ers, couldn’t take it anymore. The well-publicized deaths of blacks at the hands of police, the Black Lives Matter demonstrations and the political unwillingness to radically change the institutions and practices that maintain the nation’s status quocompelled him to protest against racial injustice. He did this by refusing to stand during the National Anthem at NFL preseason games. It is the type of transformation that underlines the extreme flux in Hong Kong’s political landscape, driven by its restless, anxious younger demographic. In less than two years, Alvin Cheng has gone from bespectacled Brisbane accounting student to one of Hong Kong’s more recognisable political figures. Nicknamed “Four-eyed Brother” by the Hong Kong media, he shot to prominence for his combative style during the Occupy pro-democracy demonstrations which swept the city of 7 million in 2014.